美國副總統彭斯 Mike Pence 在美國智庫 哈德遜研究所 Hudson Institute 演說, 談及針對中國的政策. 這是國際關係, 當中在多方位指明中國大陸的問題, 及美國針對中國的政策方向. 這些直接影響未來美國針對中國的政策: 外交, 經濟, 軍事, 等等. 不同媒體報導不同重點. 世界針對中國, 對付中國, 將會是21世紀格局! Are you ready? 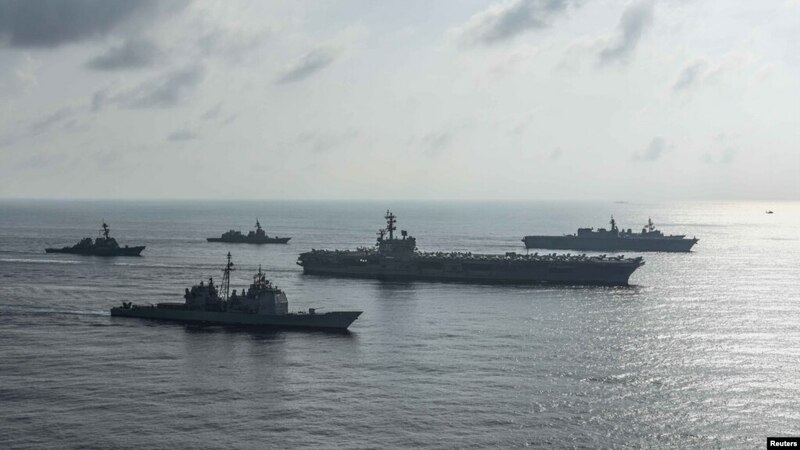 (CNN)The US Navy's Pacific Fleet has drawn up a classified proposal to carry out a global show of force as a warning to China and to demonstrate the US is prepared to deter and counter their military actions, according to several US defense officials. Word of the US Navy's proposal comes just days after what the Pentagon has called an "unsafe" encounter between US and Chinese destroyers in the South China Sea. The US Navy said the Chinese destroyer Lanzhou came within 45 yards (41 meters) of the USS Decatur while the US ship was on a "freedom of navigation" operation near Chinese-claimed islands. Meanwhile, on the economic front, the US and Chinese governments have been levying tariffs on an expanding number of each country's exports. "He may not be a friend of mine anymore. But I think he probably respects me," Trump said. Currently the aircraft carrier USS Harry S Truman is taking the unexpected step of operating in the North Sea -- sending a signal to Russia that US military forces can extend their reach to that area. Processed in 0.042456 second(s), 8 queries, Gzip enabled.